Product prices and availability are accurate as of 2019-04-18 16:39:51 EDT and are subject to change. Any price and availability information displayed on http://www.amazon.com/ at the time of purchase will apply to the purchase of this product. The Elite Medical Instruments Sprague Rappaport Stethoscope is five stethoscopes in one for a full range of diagnostic applications. 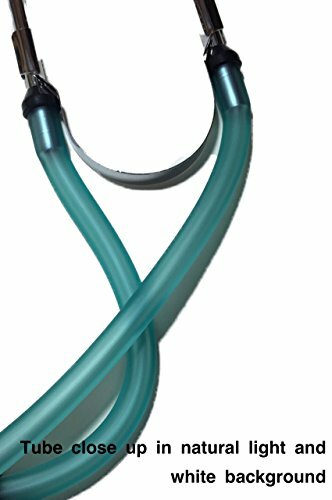 As the most versatile model on the market, this classic design allows healthcare professionals to assess adult and pediatric patients using just one stethoscope. An ergonomic design ensures comfort for the doctor and patient, even during extended use. 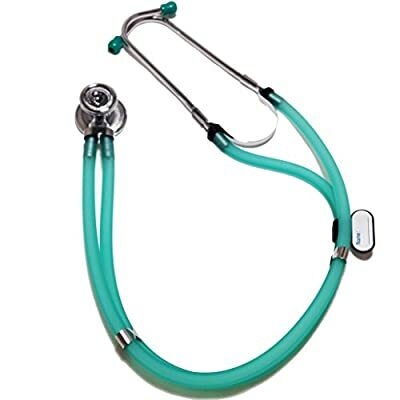 The Sprague Rappaport stethoscope is the most popular stethoscope type used by healthcare professionals today, providing clear sound transmission and robust features. The dual tubing create improved acoustic separation. Tubing length is 22 inches and total stethoscope length is 30". Features a fully rotating twin head drum and a name tag. The included accessory kit, the adult and pediatric diaphragm assemblies can be removed and replaced with adult, pediatric, and infant bells. 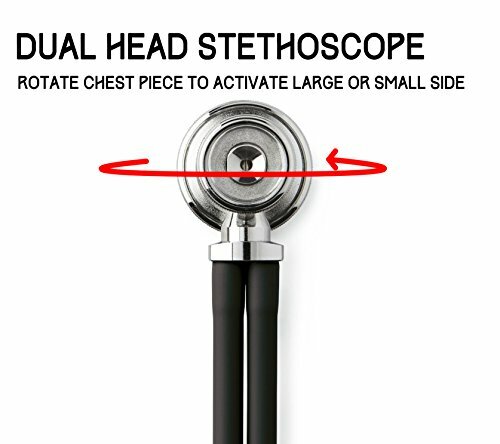 The EMI Stethoscope has Latex FREE tubing and chrome-plated chest piece.